It’s time for another mattress comparison! In today’s comparison I’m pitting two of my favorite mattresses against each other in the ultimate battle. In one corner we have Loom & Leaf. L&L is child of one of the founders of the online mattress industry, Saatva, a luxury build using high-end materials from top-to-bottom. In the other corner we have Leesa. 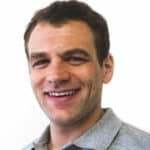 Leesa is a start-up company that launched at the end of 2014, but has quickly established itself as one of the biggest and best players in the online mattress world (and for good reason). Continue reading below for my full comparison review of the Loom and Leaf vs. the Leesa mattress. Prefer the quick version? Click here to jump to the review summary. The Leesa is a 10″ foam mattress built from 3 layers of foam. Top layer (comfort & cooling) – the top layer of the Leesa is 2.0″ of Avena foam. Avena is a latex foam alternative. It’s designed to have many of the same attributes of latex foam, including: cooling, comfort, and great bounce. However, it has been rated as having superior durability and longevity compared to traditional latex foam. 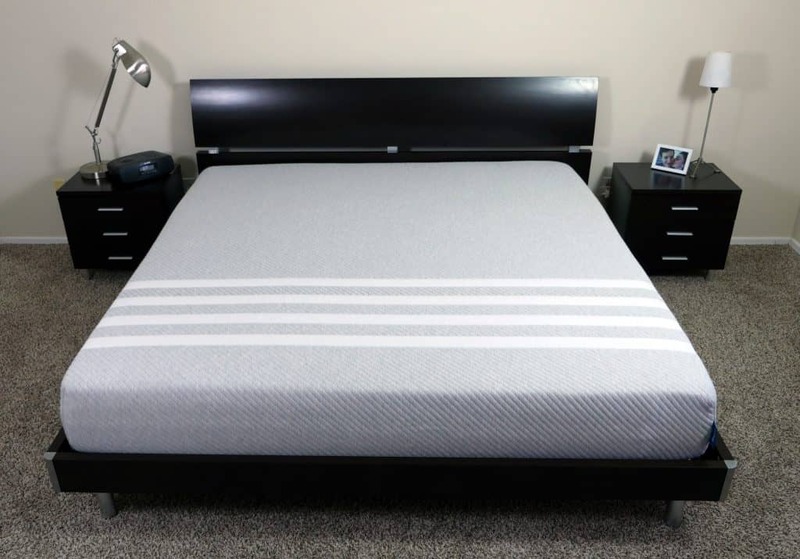 Middle layer (support & pressure relief) – the middle layer of the Leesa is 2.0″ of memory foam. Memory foam provides great support and pressure relief for the mattress. Memory foam also has a tendency to sleep warmer than Avena foam. For this reason, the memory foam is placed below the layer of Avena foam. This helps prevent the mattress from heating up or retaining heat. Bottom layer (foundational) – the bottom layer of the Leesa is a 6″ layer of high density support foam. This layer simply acts as a strong base foam. It acts as a foundation, is breathable, and provides shape. The Leesa mattress uses a hybrid mattress design. Hybrid mattresses utilize different foams or other materials to achieve an optimal level of cooling, comfort, and support. Leesa uses a layer of Avena foam and memory foam, which helps to maximize certain benefits, while minimizing other qualities. The layer of Avena foam on top helps the sleeping surface stay cool, have a nice bounce, and great comfort. 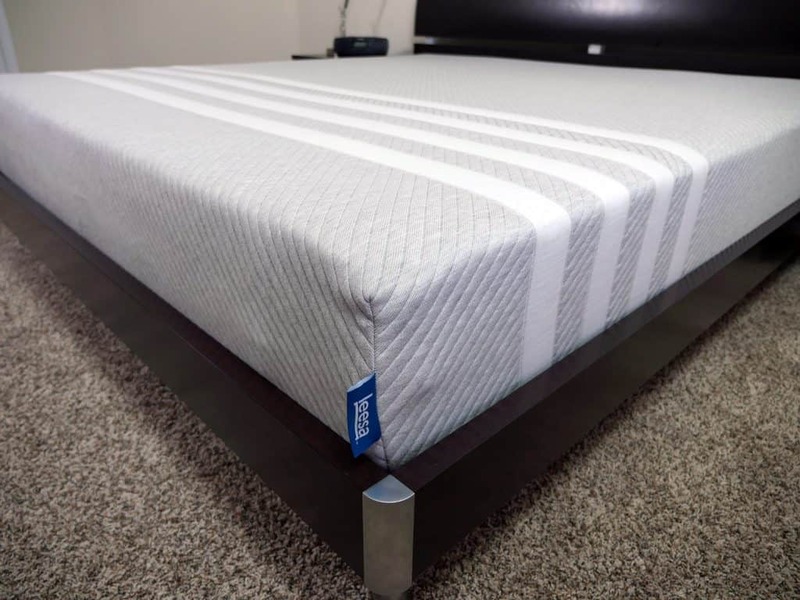 By placing the memory foam in the middle of the mattress Leesa is able to eliminate any heat retention issues, while also gaining the benefits of support and pressure relief that memory foam is able to offer. Leesa’s cover is constructed from a blend of polyester and lycra. The polyester acts as a good base textile for the cover and provides strong durability. Lycra provides a great stretch and cooling. Lycra is the same material used in performance sportswear. As such, it has good stretch, breathability, and a nice feel. Between the cover and the foams you’ll also find a standard fire sock. The fire sock is used in place of a chemical fire retardant treatment. It’s designed to melt in the event of a fire, smothering the flames. The cover is woven on a special machine that weaves a virtually seamless cover. The only seams on the cover are those needed in order to make the hard right angle corners. As a result, the cover has a really sharp and clean aesthetic to it. Personally, I really love the 4-bar design. It’s something quite unique in the mattress industry and I haven’t seen anything else quite like it. The Leesa mattress has a medium firmness at a 6 out of 10 on the firmness scale (where 10 is the most firm). Of all of the mattresses I have reviewed it seems to hit an ideal level of balance and universal comfort better than the vast majority. When you first lie down on the Leesa you’ll feel an immediate softness from the top layer of Avena foam. The Avena has great softness, comfort, and cooling. In a normal back / stomach lying position I saw 1-1.5″ of sinkage. It’s enough sinkage that you get the soft feel and body hug, but no so much that you feel stuck or enveloped by the foams. The Leesa provides great contouring support and body shaping. It’s difficult to describe the way the Leesa feels…”sublimely balanced” is the closest I have come. Many mattress companies, especially online mattress companies, are trying to create a mattress that provides universal comfort and support to all sleepers. Leesa really hits the mark on this. 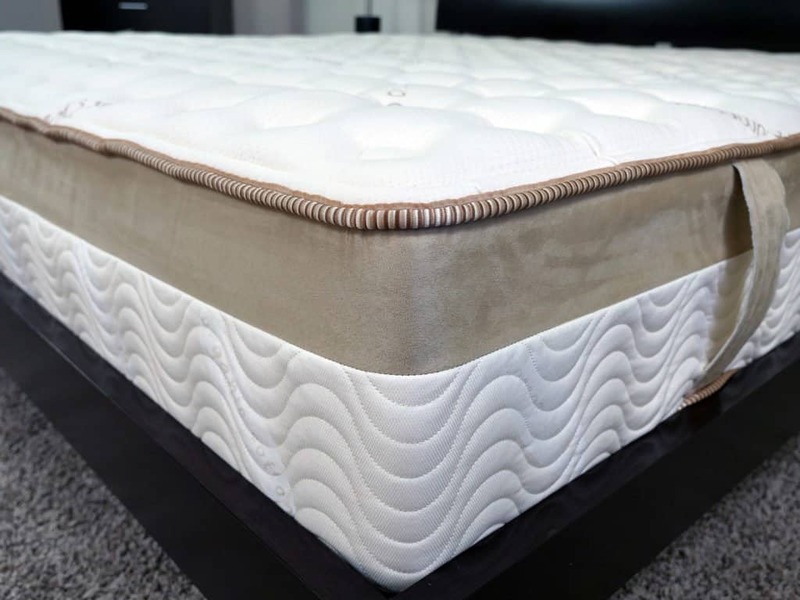 The medium firmness, balanced hug, great cooling, good pressure relief, and support round out a very well made mattress that checks just about every box on my list. Giving Back – Leesa’s 1-10 program donates 1 mattress for every 10 they sell to those in need. The Loom and Leaf is a 12″ foam mattress built from 4 different layers. Top layer (cooling + comfort) – the top layer of foam in the Loom & Leaf is 2.0″ of conforming gel foam. This layer helps to absorb heat from the sleeping surface and disperse it. Lamented on top of the gel foam layer is a layer of cooling gel. This material is where the real cooling magic happens with the Loom & Leaf. It does an exceptional job of keeping the sleeping surface cool during the night. 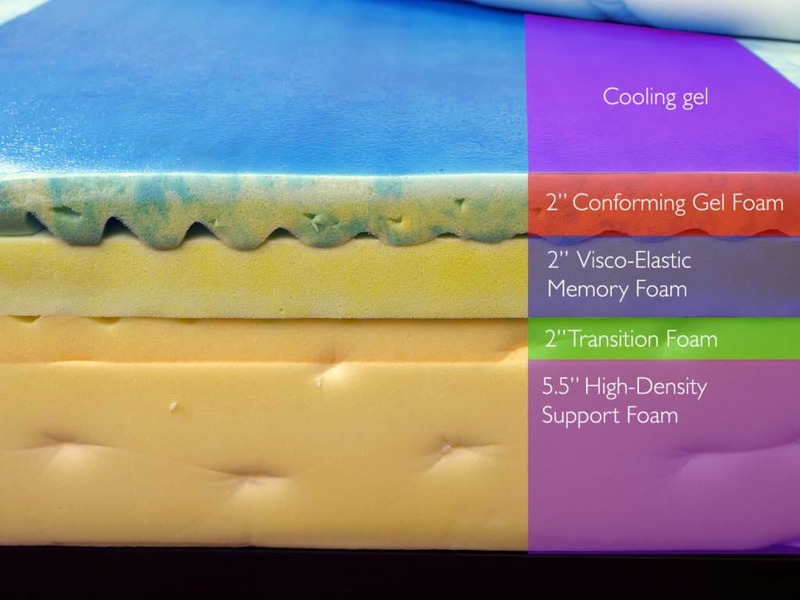 Second layer (contouring support) – 2.5″ layer of visco-elastic memory foam. This layer makes up the core of the mattress support. It’s a 5 pound memory foam. It offers great support, pressure relief, bounce, and responsiveness. 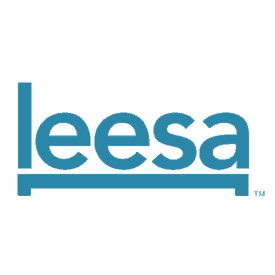 Third layer (transitional support) – 2.0″ layer of transitional support. Helps the foundational layer and the above layers work together. Additionally, helps provide deep compression support. Bottom layer (foundational) – 5.5″ high-density support foam. This layer simply acts as a strong base foam. It acts as a foundation, is breathable, and provides shape. The Loom & Leaf cover is built from 100% organic cotton. It has a soft feel and great breathability. The cover is quilted using a 5/8″ layer of foam. This extra layer of super soft foam provides a soft padded traditional cover. Loom & Leaf’s newest cover contains a tighter quilting within the midsection of the cover, helping to improve in lumbar support. The tighter stitching creates a more supportive feel overall while still allowing your upper and lower extremities to receive good pressure relief from the thicker quilting. Beneath the quilted cover you’ll find a thin covering of natural thistle. This acts as the fire barrier and is used in place of chemical based fire retardants or a fire sock. It acts in the same manner as a fire sock would, in the even of a fire the thistle / wood-pulp melt and smother the flames. Aesthetically, the Loom & Leaf has a traditional luxury look and feel. The padded cover has a nice texture. The gold trim is a cool touch that further improves the stylish luxury look of the Loom & Leaf. The Loom & Leaf is available in two firmness levels. Their Loom & Leaf Relaxed firm (the mattress I tested and reviewed) is a 6 out of 10 on the firmness scale (where 10 is the most firm). Their harder mattress, the Loom & Leaf Firm, is an 8 out of 10 on the firmness scale. Having two firmness levels is a nice benefit and helps increase the number of sleepers the L&L is a good fit for. The Loom & Leaf’s 5/8″ foam padded cover gives the mattress a traditional soft feel when first lying down. Thereafter I felt great comfort, pressure relief, and support from the layers of foam below. The L&L is a bit of an anomaly given the sheer thickness of the foams. At 6.5″ of comfort foam (on top of a 5.5″ support foam base) it has among the thickest comfort layers I have tested in a mattress. This level of thickness definitely shines through when it comes to deep compression support, which is especially important if you’re a larger sleeper. The improved deep compression support ensures consistent support regardless of your size, which also means consistent comfort and cooling. Despite the thicker comfort layer, the Loom & Leaf remains highly responsive. 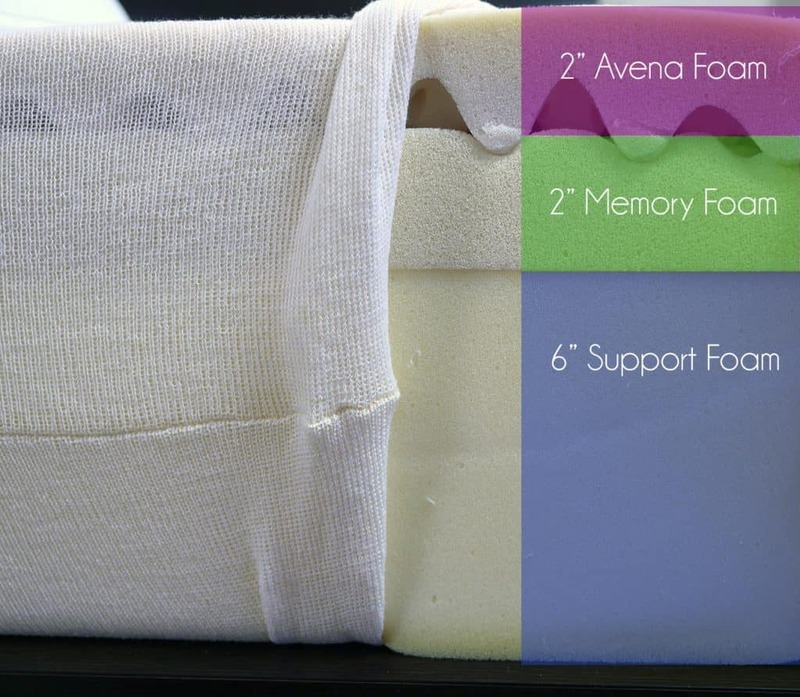 Even though it’s predominately built from memory foams, I never felt “stuck” or overly enveloped by the foams during my sleep test. It has a balanced sinkage of 1-1.5″ in a normal stomach / back sleeping position. 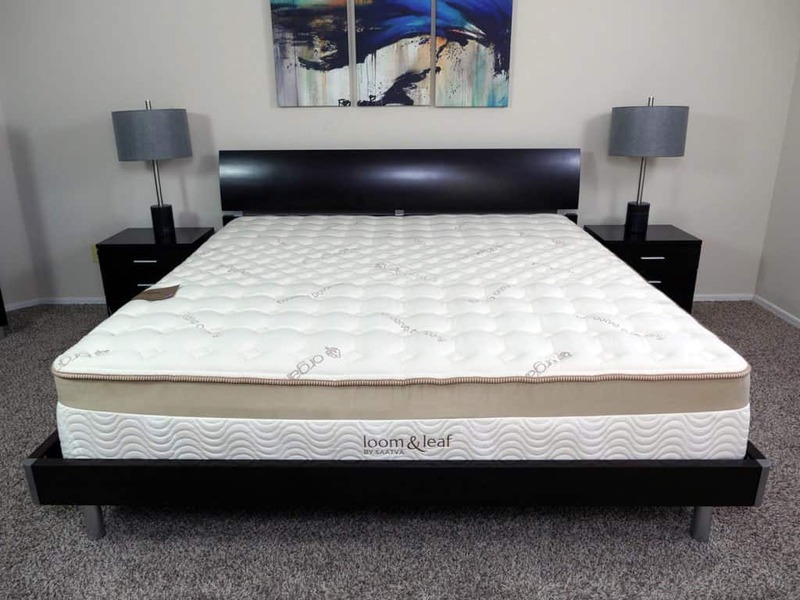 Below you’ll find a comprehensive comparison of the major material, construction, design, and service differences between the Loom and Leaf vs. the Leesa mattress. *Total price includes any available discounts / promo codes and the cost of shipping. Should you buy a Loom and Leaf or a Leesa mattress? So the big question…which mattress should you buy? I always try to select a winner of each comparison review. However, this has been by far the most difficult comparison review I have done. Loom & Leaf and Leesa are two of my personal favorites and among the best overall mattresses I have tested and reviewed. Both Loom & Leaf and Leesa just get it…they understand what’s most important to sleepers in terms of comfort, cooling, and support. They understand what level of service, trial period, and warranty is a needed. And I believe they both genuinely want to improve the sleep and lives of shoppers who buy their mattress. As a result, I am going to call this one a draw. Both the Loom & Leaf and Leesa are exceptionally well made mattresses backed from companies with good people and a great vision. You will be hard pressed to go wrong with either of these. However, there are a few important differences that may help to sway you decision one way or another. Want a medium firmness – Leesa’s 6 out of 10 firmness places it at a perfect level of support and comfort. If you prefer a medium firmness feel, or you aren’t 100% sure what firmness level you need, the Leesa’s balanced feel can meet the needs of the vast majority of sleepers. Want a balanced feel – the Leesa has a balanced firmness, sinkage, hug, and body contouring. This combination creates a universal comfort feel that’s suitable for most sleepers. The Leesa’s feel is great provided you are not looking for something that’s super firm, super soft, or a has very deep hug. Want a sleeker profile – at 10″ thick the Leesa has a lean profile that looks great in any modern bedroom. Want the absolute best deal – Perhaps the most important factor and the biggest pro in the Leesa vs. Loom & Leaf comparison…price. The Leesa is built from materials that make the biggest impact, while excluding some materials that they feel don’t offer enough value for the increased cost it add them (IE, organic cotton, natural thistle, etc.). Leesa in the King sized is $329 cheaper than the Loom & Leaf. If you want maximum value for the price it really is hard to beat the Leesa. Want a medium or hard firmness – the Loom & Leaf is available in both a medium and hard firmness level. The medium is a 6 out of 10 on the firmness scale and the hard is an 8 out of 10. Having a harder firmness level opens the mattress up to those who need or prefer a slightly harder feel / less of a hug. Want a balanced feel – the Loom & Leaf’s padded cover, thick comfort layer, and high-end materials create a balanced feel that will be enjoyable by most sleepers. If you prefer a harder feel you can opt for the Loom & Leaf Firm version as well. However, if you prefer a balanced feel or you’re just not sure, the Loom & Leaf Relaxed Firm (their medium firmness level) provides an delicate balance of support and softness. Want a mattress that uses natural materials – the L&L uses plant-based foams, natural thistle as a fire barrier, and an organic cotton cover. The mattress isn’t 100% natural, but it hits many important areas of construction and material selection. Want a thicker profile & better deep compression support – I believe the 12″ profile is perhaps the most important distinction between the L&L and Leesa. The additional thickness and a larger comfort layer creates better deep compression support. This is especially important if you’re a larger sleeper. The L&L’s thicker profile allows it to offer better deep compression support and comfort even for the most heavy of sleepers. Want full service in-home delivery – if you don’t want to deal with unboxing the mattress and setting it up yourself the Loom & Leaf’s full service in-home delivery can be a very nice benefit. Free shipping includes a delivery, setup on your bed frame, and removal of your old mattress (free of charge). Additionally, you can also have a foundation or frame delivered along with your order with the same fee.